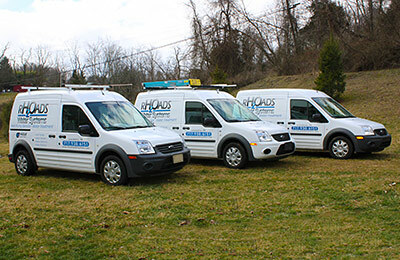 Located in Lewisberry, PA., Rhoads Water Systems is a local, family owned and operated plumbing business. We specialize in well pump troubleshooting, water pump repair and replacement, and well pump location. However, we offer many additional services such as: water treatment, water heater repair and replacement, tankless water heater repair and installation, and much more. We have over 40+ years of experience, so you can be sure that your problem will be dealt with professionally and accurately. Our experience allows us to properly diagnose water treatment issues and troubleshoot the problem at its root, so that you do not have to replace any unnecessary parts. Additionally, we are fully licensed and insured. Our company has strong ties within the community, and are very loyal to our customers. We pride ourselves on being extremely friendly and helpful to our customers, and our prices are most often more reasonable then the “big guys”. If you find yourself out of water or in need of assistance with your water heater or hard water, don’t risk paying more and replacing things that are not broken. Call us at: 717-938-6151 for quick and professional service. Whenever you are in need, we are here to help!